So, you just got yourself a sweet bike and can’t wait to get into it…what better way than to join a fun women’s cycling group ride? The Revolve beginner group rides are very welcoming and the Ride Guides will ensure you have a great time! Before the beginner group takes off for the ride, we'll cover basic safety rules and riding etiquette to make sure everyone knows what’s expected. You can read up more about the road code for cyclists on the NZTA website and the Mountain Bikers Code can be found here. Revolve’s weekly group rides are aimed to make women feel comfortable and safe on their bikes while having fun and meeting other women. Whether you are a seasoned rider or just starting out, Revolve is all about having a good time, and encouraging more women to bike. We have a 'no drop' policy, which means no one will be left behind. Most of the group rides will be broken down into multiple ability groups to allow riders to choose the best group for their level. If you find yourself at the front of the pack of your ride group, try moving up to the next level at the next group ride; it will challenge you more and you may be pleasantly surprised by how well you do. Please feel free to ask the Revolve Ride Guides if you are undecided or unclear on which group to ride with and they will help guide you to the appropriate group. Each group has a Ride Guide or Co-Guide who knows the route/trails and can assist you with riding skills. These are all volunteers. If this sounds like you and you’re keen to get involved and help out, we would love to have you sign up to become a Ride Guide, just send us an email and we’ll send you more info! Even though there’s always someone else to help you fix your puncture, it is great to see you come prepared! 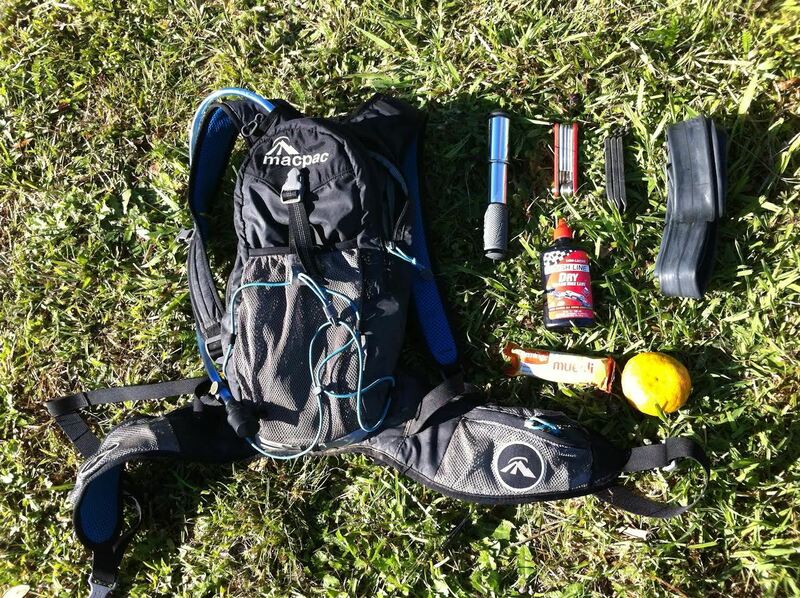 It is also recommended to bring a drink bottle or a bladder and some snacks just in case you run out of energy. A helmet is the only MUST when it comes to bike apparel. After that there’s a never-ending list of P&A (parts and accessories) you can purchase, but there’s a difference between needing it and wanting it! First and foremost, some items that should be on the "need" list are a decent floor pump and some lube. You’ll probably soon find that bike shorts (with that ugly padding that makes your bum look big) are also on the "need" list. Following that, you’ll get to more desired items such as gloves, a good breathable base layer, riding jerseys/tops (with those handy back pockets to put your phone, keys and snacks in), clip-in pedals and shoes and a rain jacket. Then you get to the luxury items such as cyclo-computers/GPS, arm and leg warmers, booties, socks, riding glasses, bandanas etc. It obviously is up to you how many of these items you deem necessary.